The Guide for the Exercise of Right to a Court Interpreter – translator is intended for parties (plaintiff and respondent) and other participants in civil procedures so that everyone is afforded equal and active participation in a court proceeding. A multi-donation trust fund for support to the judicial sector in Serbia, in making the Functional Analysis of the Judiciary in Serbia in 2014, notes as observed flaws, among other things, an inadequate approach to information on those who provide translation services, i.e. court interpreters, as well as the requirement for this service to be reasonably priced for an effective access to justice i.e. the judiciary. 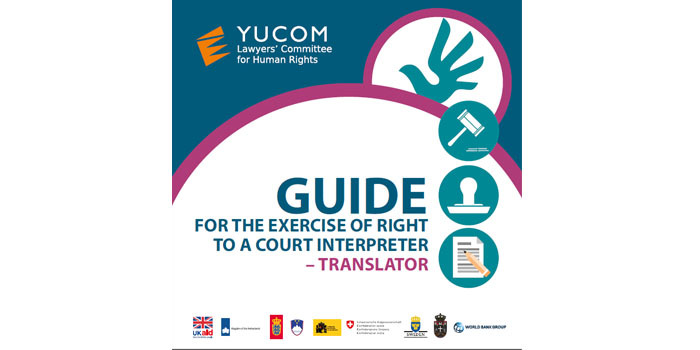 The Guide for the Exercise of Right to a Court Interpreter (translator) should serve to raise awareness of the role and right to a court interpreter, by simply providing basic information on interpreters, the manner of their engagement, as well as on parties’ costs if they exercise this right. Thus, parties and other participants in civil procedures can be instructed about the use of this right. 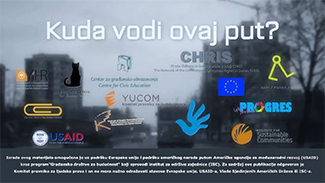 The main goal of the Guide is to enable access to justice for persons who are not in command of the Serbian language or a national minority language in courts where that language is in official use, as well as for deaf, mute and blind persons, by giving instructions on how to use the right to a court interpreter in civil procedures. The Guide for the Exercise of Right to a Court Interpreter – translator has been prepared by the Lawyers’ Committee for Human Rights – YUCOM, with guidelines obtained from Ms Georgia Harley (expert in judicial reform) Mr Srdjan Svircev (a public sector expert) and Ms Marina Matic Boskovic (advisor for judicial reform).